Amana is rightly held in high esteem as a purveyor of quality air conditioners. They offer a wide range of excellent products, and this model maintains their record of success. 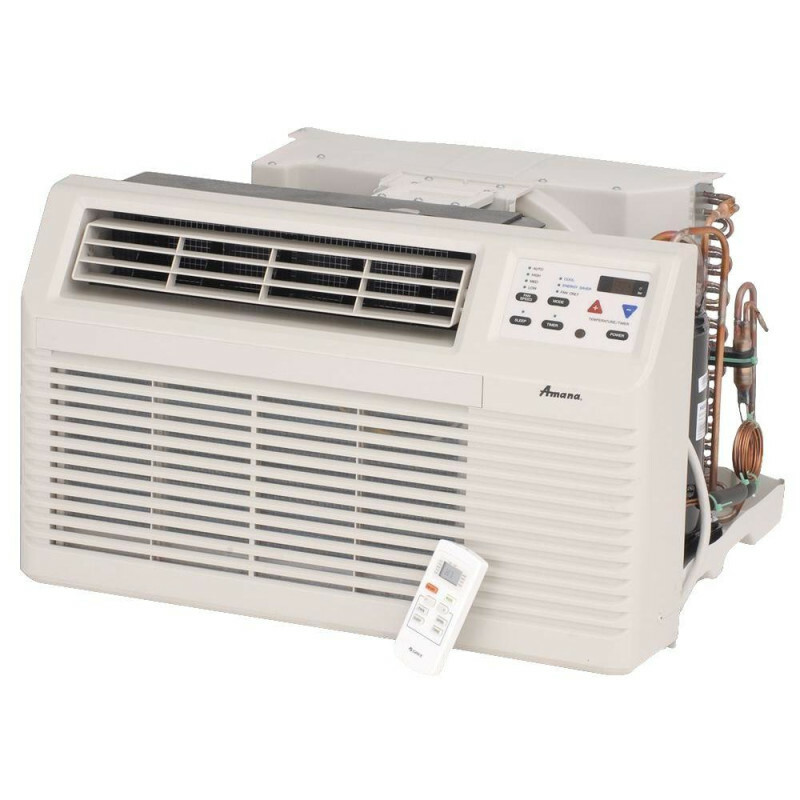 The 9,000 Btu Amana TTW air conditioner is all about quiet. Operating at a whisper, it lets guests bask in a comfortable, fresh atmosphere without having to tolerate any annoying noises. The top air discharge features a four-way adjustable air throw, giving guests control over the current, as does the choice between distinct fan speeds. The intuitive electronic touch pad makes selecting and changing options a breeze for anyone. The remote control makes it just as simple at a distance. No matter your precise needs, every unit is built to make life easier for you and your guests. Maintenance is a breeze with a slide-out chassis and easily removable condenser top. Six easy-access screws are all that stand in the way of cleaning the outdoor coils. That matters--cleaning away dirt and debris will drastically lengthen the lifespan of the compressor and other system-sealed components. The filter is even easier to maintain. Just slide it out, give the permanent polypropylene mesh a quick clean, and slide it back in. That's it! Now you can move on to more important things. With an Energy Star rating and an EER of 9.8, this TTW is offering you an opportunity to save serious bucks while helping the environment. Before leaving the factory, every unit undergoes a thorough range of tests to guarantee optimal performance from day one. Want more confirmation? The product safety organization UL (formerly Underwriter Laboratories) certifies every unit in the USA and Canada. Amana has established a reputation for sound, efficient climate control. This 9,000 Btu eco-friendly model only raises their standards.